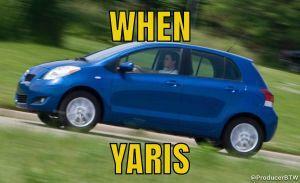 It’s that time of the week! 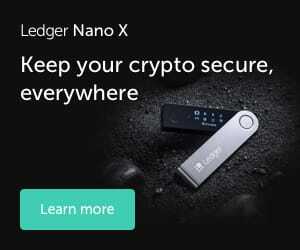 Cryptonews.com is back with another collection of the internet’s genius, assorted for your viewing - and reading - pleasure. The future might look bleaker by the day, but our moods don’t have to be. From China’s reportedly renewed efforts on banning all things crypto, over the sad news of dapp popularity fading, to speculating on a BCH flippening, this week has been an interesting one. 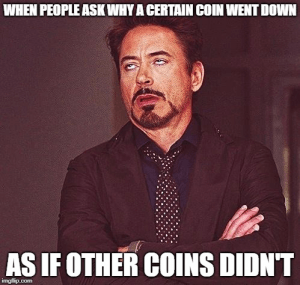 You may not care too much about how many bitcoins Satoshi has, but you do care about the ups and downs of your coins. 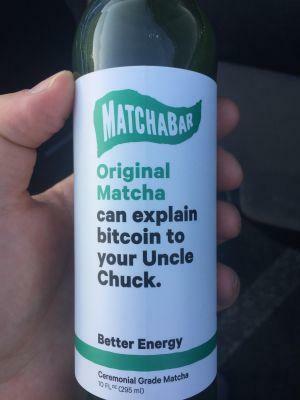 After reading all these news and catching up with the current events in the cryptoverse, you deserve a break filled with chuckles or outright laughter. We’re here to deliver! If you’re confused too, we’re there to save you. 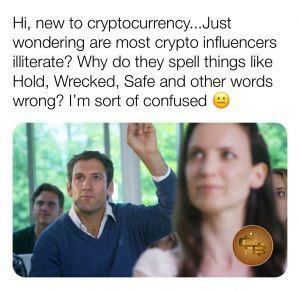 Find out here what commonly used phrases in the crypto community mean! 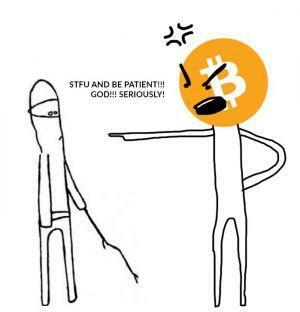 A popular meme reimagined, we can only guess that this is how Bitcoin and altcoins currently feel. 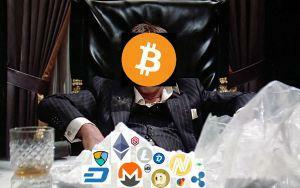 Bitcoin is Tony Montana and we’re all fans. You have to move with the times, tailor your expectations to the current reality. 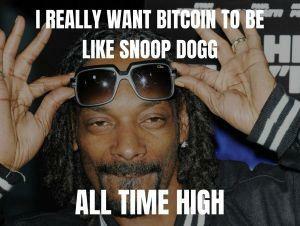 Snoop approves - he’s probably showing his support for PotCoin right now. Good for you, Matcha, because I can’t. 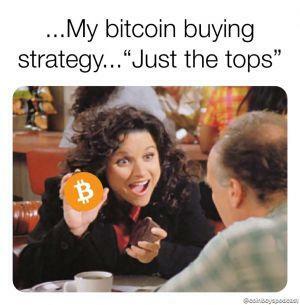 Send him over to read our Bitcoin guides. It’s always easier when someone else admits it first - we’re all in the same boat. 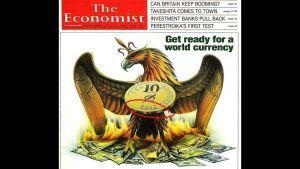 We now wonder if the Economist had a special DeLorean in 1988 to check the situation this year and make a hopefully accurate prediction. 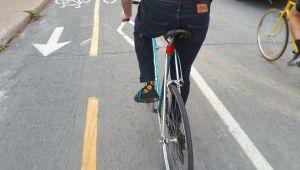 Adoption comes in all shapes and sizes, and if one of those shapes is sock-like, who are we to judge? When your parents understand you, there’s really nothing else you need. Just take care not to eat the private keys. And on we go on the both emotional and financial rollercoaster that the past few months have been. 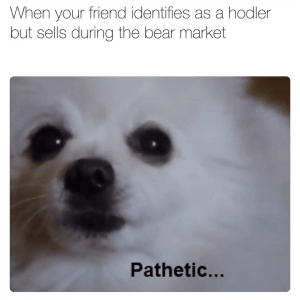 Well, I don’t know about that particular shitcoin, but it’s probably because the market is plummeting and we’re all holding on for dear life. 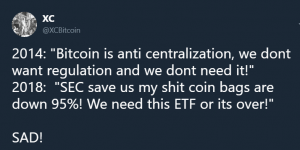 The state of the crypto. 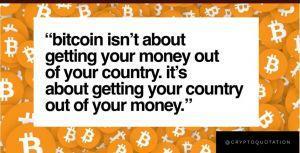 Times change, people do as well - but let’s be fair, many still call for decentralization. 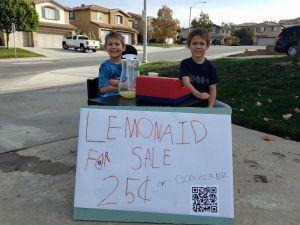 Generation Z seems to be the generation of adoption. Put your hope in the young people of the future! And buy some lemonade, you’re thirsty. 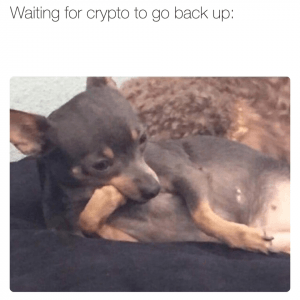 Also the crushing sense of despair when checking your blockfolio in the morning - it gets so heavy that gyms are going out of business. Just swipe right and hope one of them goes to the moon, it’s not like you can lose anything now. 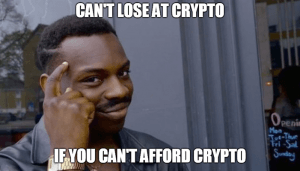 Technically the truth, but maybe the reason you can’t afford crypto is because you lost it all to crypto anyway. The dog is not impressed and judges you unworthy. It’s a ruff life out there.